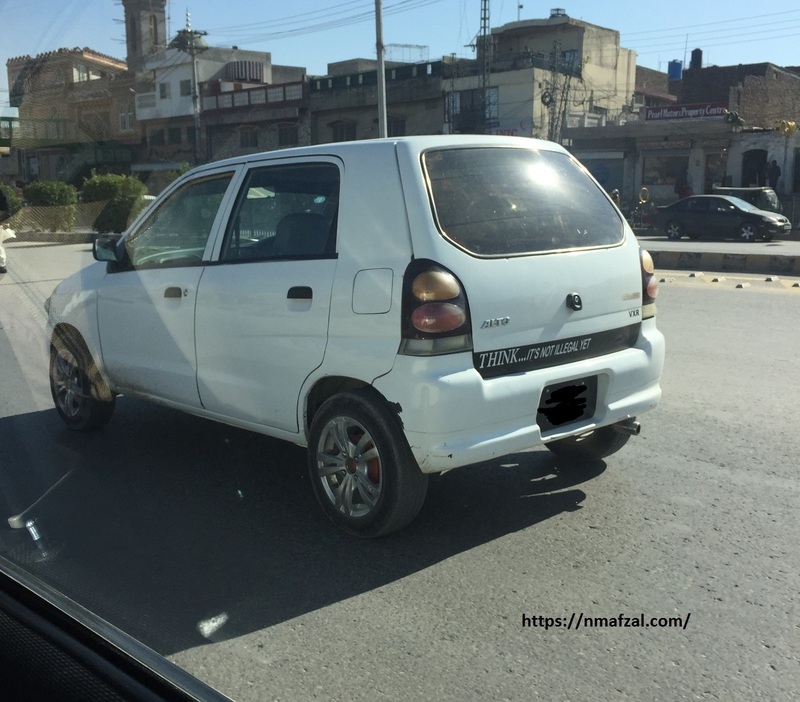 I almost half jumped out of my car to snap this pic, it caught my eye on my way back from office and the I wouldn’t have missed it even if it meant doing a little bit of James Bond style of driving on the main Peshawar Road. It says, “Think…it’s not illegal yet!” WOW! Pretty coll stuff, very imaginative, plain , simple and meaningful, if anyone cares, that is 🙂 And this makes me ramble that we as a nation have given up on thinking. I believe it is the most alien thing in existence nowadays. So while you’re alive, think! It might help, in fact it will! Cheers. Agreed sir. true that. “we as a nation have given up on thinking” because we’re too fond of talking, without thinking… unfortunately.